Alan Fears - Index Bookcase, 2015. Bespoke bookcase by Alan Fears, 2015. 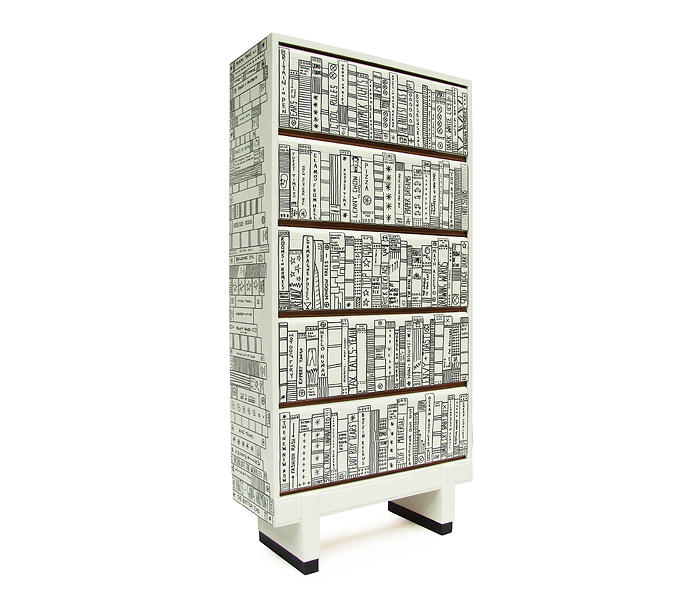 1950's cabinet finished in a freeform handpainted doodle book spine design. Oak detail and ebonised feet. SOLD - Private Collection, USA.